Music which originated from Ireland, Scotland, Wales, Brittany, Galacia, Cornwall, and the Isle of Man that's been kicked around, traveled across the Atlantic Ocean, and settled in the Lehigh Valley. 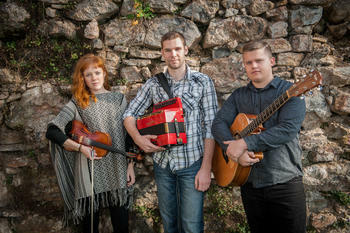 Featuring well-known Celtic artists as well as music happening in the Lehigh Valley. Rick Weaver welcomes members of NYC/Bethlehem Irish-American pub band, the Rogue Diplomats. 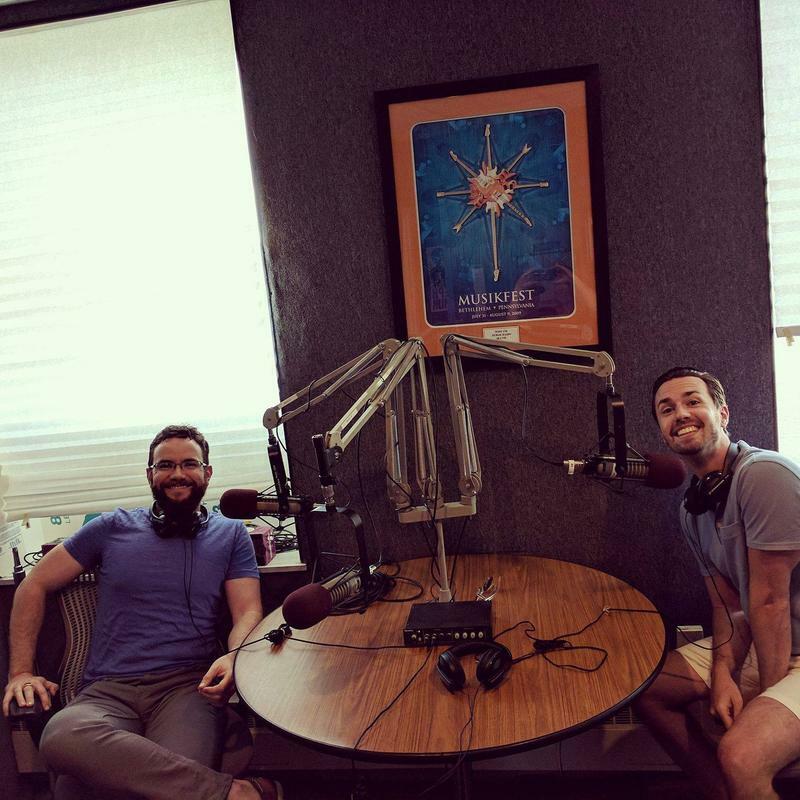 Band members Brian Donnelly, Christine Breiner, and Nathan Diehl discuss their upcoming Musikfest performance, and we listen to music from their new album, Whiskey Picnic. Rogue Diplomats play a free show at Red Stag Pub Liederplatz on Tuesday, August 9th at 8:00 PM. Host Rick Weaver welcomes Celtic trio Poor Man's Gambit to the program for a live jig performance and an interview about the band's development in the Lehigh Valley and influence around the world. Host Rick Weaver welcomes Carlos Nunez to the program for an interview and live performance prior to his appearance at Musikfest on Friday at 6:30pm at Plaza Tropical. 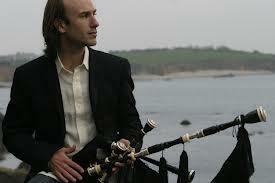 Carlos is a world-renowned Spanish performer on the gaita (traditional Galician bagpipes). WDIY To Provide Music for City of Bethlehem's Fourth of July "Pyromusical"
Bethlehem’s Fourth of July fireworks display will for the first time feature pyrotechnics synchronized to music. 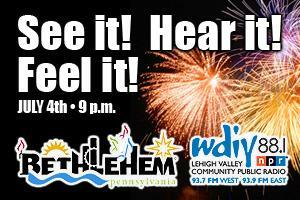 The City has teamed with Celebration Fireworks of Kutztown and WDIY 88.1 FM radio to bring the “pyromusical” to Bethlehem. Celebration Fireworks uses computer software to choreograph multiple explosions in time with popular and patriotic music. More than 1,000 fireworks effects are placed in multiple firing positions to produce crossing patterns and motion sequences. 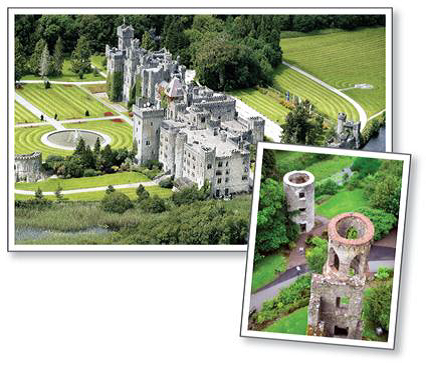 WDIY is offering a special trip to Ireland, hosted by Celtic Faire host Rick Weaver, November 13-20, 2013. Stops on the trip include Dublin, Guiness Storehouse, Blarney Castle, Killarney, Dingle Peninsula, Cliffs of Moher and Ashford Castle, with plenty of free time to add a few pub visits between stops. For detailed information, or to reserve your space, please call Rebecca at 610-694-8100 x 7, or email rwalz@wdiy.org.